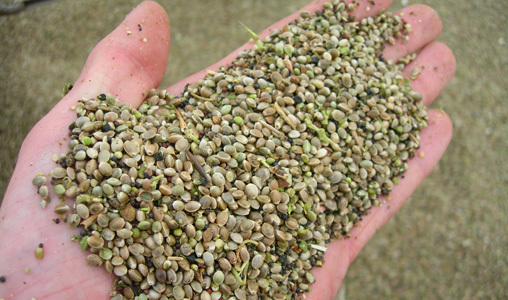 Hemp seed is the product most in demand in hemp markets today. Mostly, it goes into health food and nutraceutical sectors, but new markets are under constant development. Photo courtesy of Hemp Industries Association. To the advocate, hemp is a cure-all. Health, economics, self-sufficiency. It’s all there. Like the monster in a child’s closet, there’s nothing to fear when the door opens and its stigma is exposed to light. Hemp, advocates say, is a long-suffering victim of federal conspiracies and failed drug policy, much like asparagus, but closer to home. Hemp’s medicinal properties, agriculture advantages and potential for numerous high-quality products have been either ignored or actively opposed, again, due to federal policies that began with government favors to influential millionaires 60 years ago. To the opponent, it’s just pot, a weed society can do without. And since stereotypes allow most of society to dismiss so-called potheads as lazy ne’er-do-wells, hemp, too, can readily be dismissed. Somewhere in the middle lies the truth, and after decades of misinformation and myth, it might soon be up to farmers to discover for themselves what hemp — grown by George Washington and other leaders when it was legal — can do for agriculture and the general public. The door is open now, after Gov. Rick Snyder signed into law bills that allow the Michigan Department of Agriculture and Rural Development (MDARD) or colleges and universities in Michigan to grow and research industrial hemp. For advocates, hemp’s stigma has not been satisfactorily lifted, but recent events are a good start. A bill was expected to be introduced in Congress in mid-January to remove industrial hemp from the controlled substance list on the federal level. That’s a logical first step, said Everett Swift, executive director of the Michigan Industrial Hemp Education and Marketing Project (MIHEMP), since industrial hemp and smokable marijuana have little in common except their appearance. 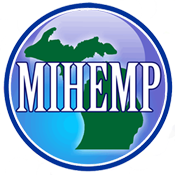 The facts show, Swift said, that smokers cannot get high from industrial hemp, and there is high potential for a viable commercial crop in Michigan that can be used for building material, insulation, soap, paper, clothing, plastics and much more. For the farmer, it’s known as a good cover crop that, when plowed under, lends organic matter to the soil, suppresses weeds because of its fast growth and may be better at producing ethanol than corn. Of course, such claims will be investigated by university researchers after Snyder opened that door, but it will take time, said Doug Buhler, director of MSU’s ag bio research and associate dean for research within the College of Agriculture and Natural Resources. Hemp was once a widely farmed commercial crop in the United States, and while it’s been illegal since the 1930s to cultivate it, imports continue. According to a National Law Center report from June 2014, the total U.S. retail value of hemp products in 2013 was $581 million. All that seems logical, since hemp’s illegality has thwarted investment, processing and production for most of 60 years. Will that change as universities begin research? Obviously, there is a long way to go before hemp is restored to its former glory as a viable cash crop in Michigan and the United States. With hemp’s revival seemingly taking its first step after 60 years of government-imposed impediments, perhaps farmers can open the door to a viable crop. “We need to have local markets, processors, a place to ship and sell,” Cline said. While that may take some time, Swift said farmers will likely take care of production when the time comes. Should you have any problem, contact the MIHEMP's Director of Communication/Webmaster. What are HB 5439 and HB 5440? With imminent passage of HB 5439 and HB 5540, now is the best time for legislators and constituents to educate themselves on the many uses of Industrial Hemp.